We have had a lot of really good luck lately finding things we need on KSL and Craigslist. This summer we found a double stroller. And just a month or so ago we found a beautiful vintage bike for our daughter, just like the one I rode as a child. I am coming to appreciate sites like these. The site is very easy to use, and free to sign up. Using uTrust, you can be assured that your transactions are secure too. Once you have an account, you can start listing all your wants. You can also browse the site and look at what other people want, to see if they have anything listed that you want to sell. You can search by general categories, specific items, search just in your city, or choose a distance and then window shop. Although I am new to the site, it has been really fun to browse and see what is for sale. We are also going through a major "purge" in our house, and I am excited to list lots of the things that we don't need or want anymore. Family Volley is testing out Ubokia's new fully functioning version of Ubokia Everywhere. This feature allows blog readers to buy and sell with each other, without ever leaving Family Volley. Buying through a blog marketplace means you are connecting with other like-minded people, which makes it easier to find what you want and in general, making your interactions more pleasant than something like Craiglist. 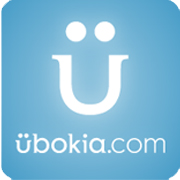 You can check out, and start browsing Ubokia below. And you can always shop Ubokia by clicking on the link in the sidebar. I was compensated for this post. All opinions expressed are my own.